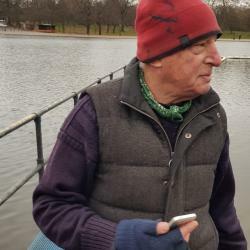 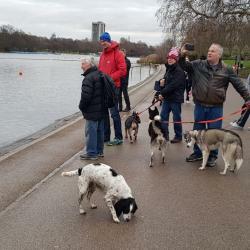 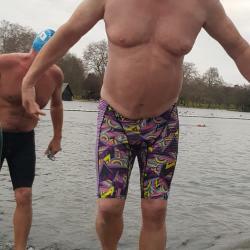 It was a rare occasion at the Serpentine on Saturday, for the Honourable Handicapper took time off from Serps, must have been his birthday... 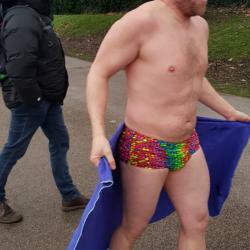 Happy Birthday Dani. 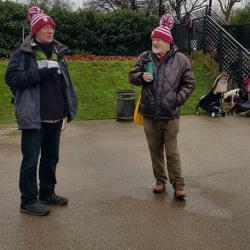 Ange and Robin took over the handicapping and race organising. 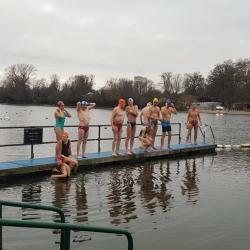 Regal quality flapjack was shared all round thanks to Alan Mitchell's very tasty baking skills, and kinder sharing. 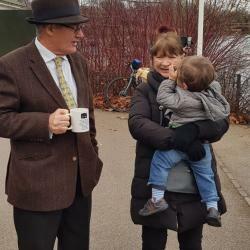 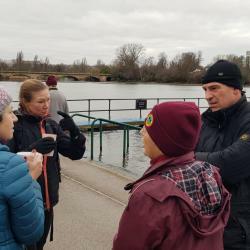 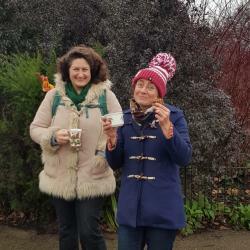 And, Amalia, both the youngest and newest Serpentine member brought her parents Charlotte and Robert (Fisher) to the waterside. 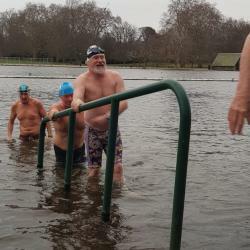 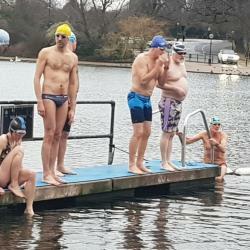 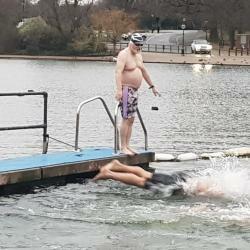 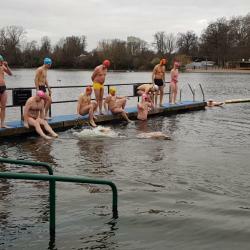 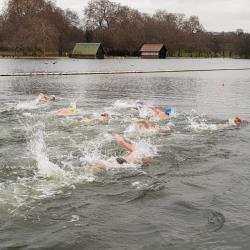 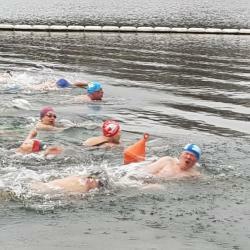 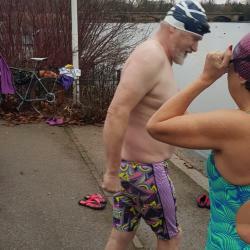 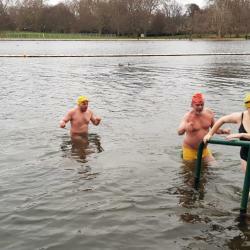 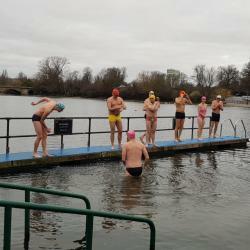 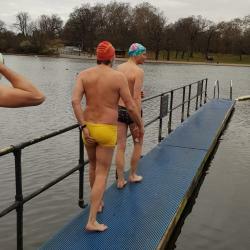 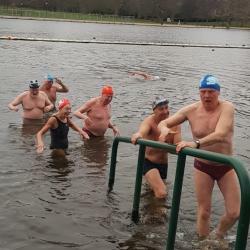 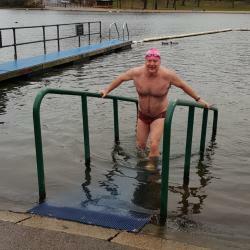 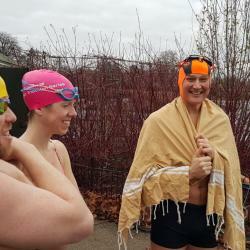 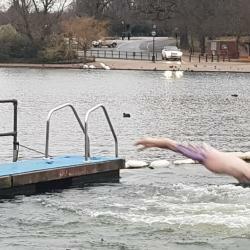 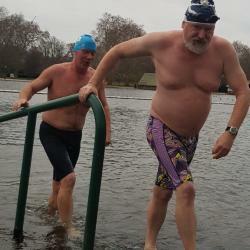 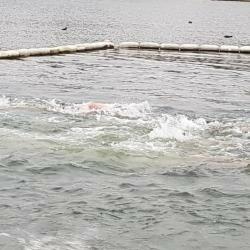 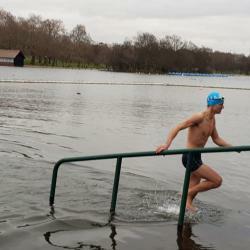 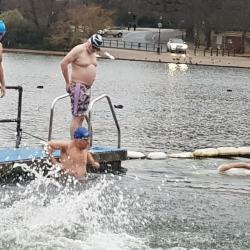 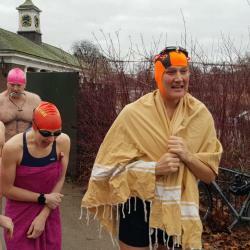 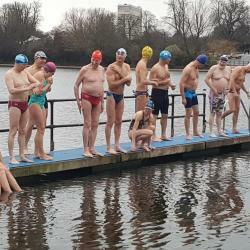 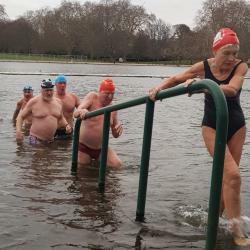 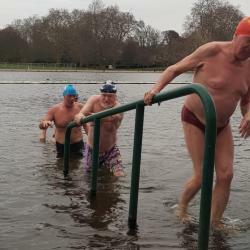 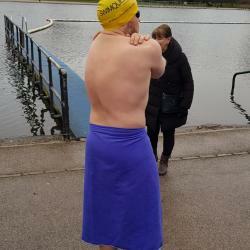 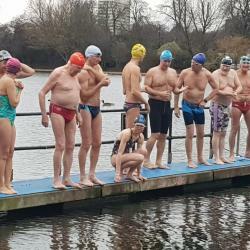 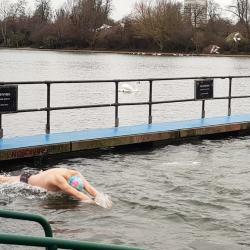 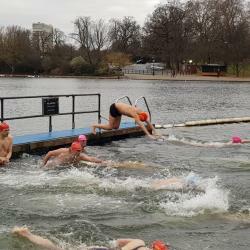 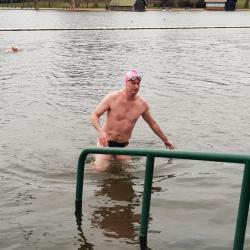 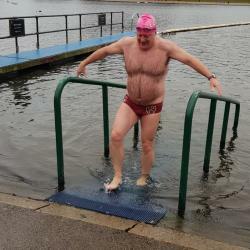 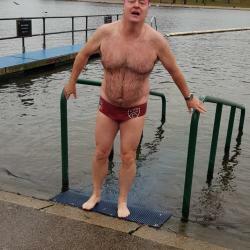 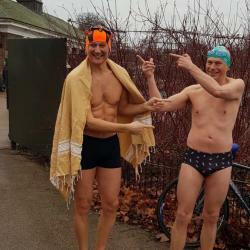 Three races, cold weather (around 2.8C waters), many swimmers missing due to opting for a Tooting Bec Gala dip instead. 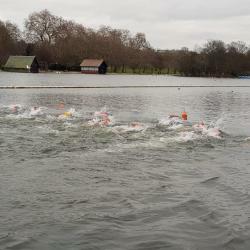 First Saturday in February will reveal who will be the winner of the Mike Small Winter Series.